As you prep your home for entertaining during the holidays, you can count on Best Buy’s expert service to find you the right GE appliances at unbeatable prices. Here we are again already in the month of October! You know what is just around the corner…Holiday cooking and baking! Cookies, pies, ham, turkey and so much more. I know many of you are probably stressing over it all but there is really plenty of time to get prepared. 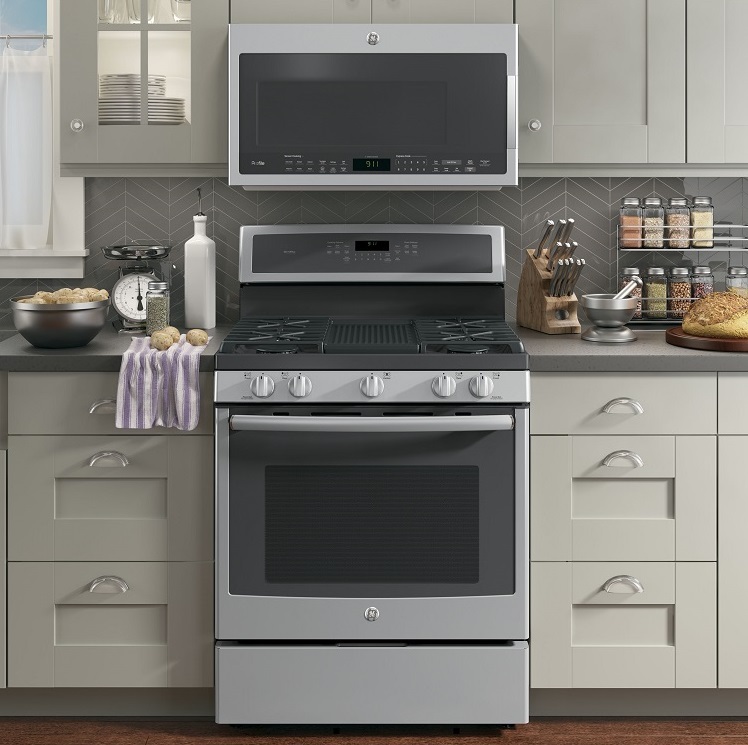 Did you know that having the newest GE Appliances at Best Buy will take a lot of that stress off of you so that you can really enjoy this holiday season with your family? Best Buy is here to help with expert service to find you the right GE appliances at unbeatable prices. GE Appliances Have A Unified Appearance ~ Easy to mix, match and make all your own. One of the great things about GE appliances are that they are easy to mix and match and create your own style in your kitchen! We all have our own personality and we want our kitchen to have one too. The GE Profile Series have clean lines and minimal curves and easily blend into today’s kitchen and the choices that you have made in flooring, cabinets and color. The series not only looks gorgeous but performs like a charm and makes your everyday routines easy because of their brilliant features. These appliances will meet your real-life needs not only during the holidays but every day of the year! 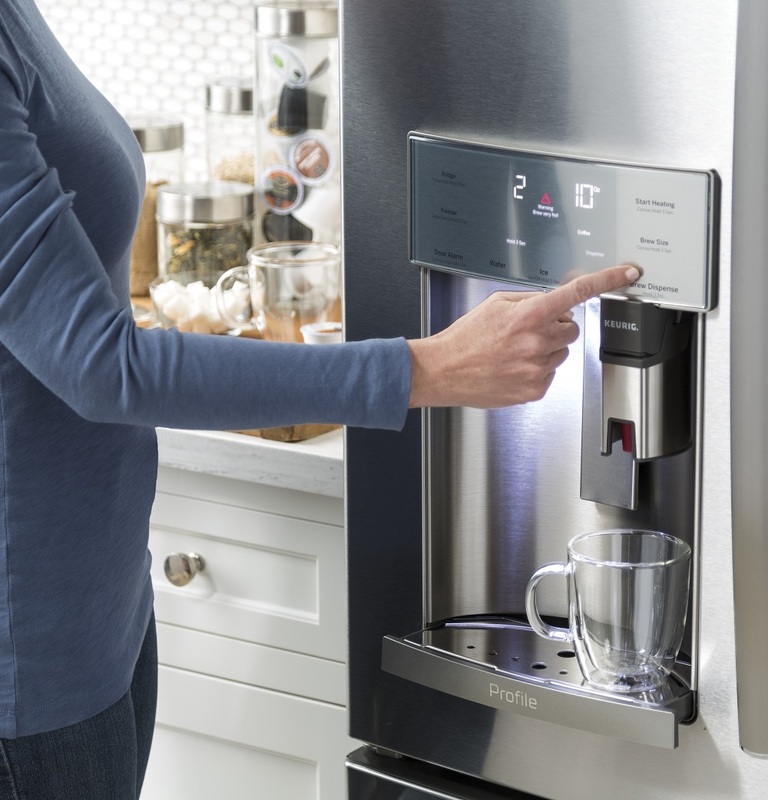 The Keurig Kcup French Door Refrigerator ! ~ Brewing up the next big thing. Oh my! A coffee maker in the refrigerator door? This is for me! If you love coffee like I love coffee, then check out this GE Profile Keurig Kcup French Door Refrigerator. You can conveniently brew coffee from the dispenser with the Keurig K-Cup brewing system. Enjoy coffee, tea, cider and hot cocoa all made with fresh filtered water! This will also save you some counter space because you won’t have your coffee maker cluttering your counter. Make sure you check out all of the other amazing features here. 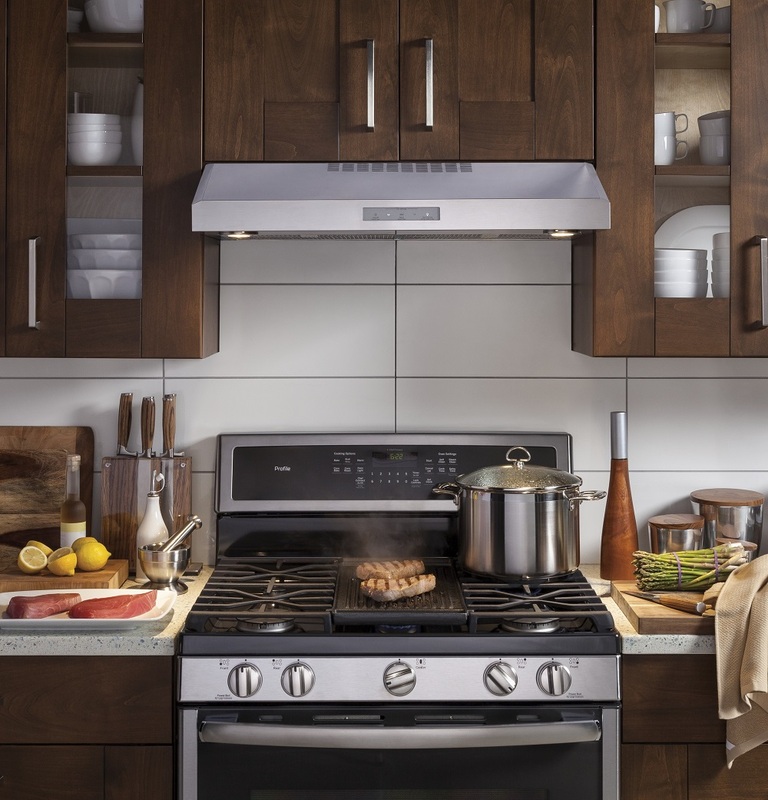 GE Profile Gas Range ~ Enjoy ultimate cooking versatility with this edge-to-edge cooktop . This truly is the ultimate cooking experience! The large cooking surface gives you plenty of space for your pots and pans and you can move them freely from burner to burner. Are you making grilled cheese for your family or a crowd? This griddle in the middle can grill 6 at one time! When you are done, you can flip it over and grill a couple of steaks for your meat lovers like my husband. He would absolutely love this feature but I would love the griddle for making a pancake breakfast for our Christmas morning brunch! I think these appliances are awesome and I think that they would definitely make our Elegant Thanksgiving Dinner even easier to make! It only gets better! You can save up TO $1,200* on Select GE Appliance Packages. Make sure you check out all of these amazing GE appliances and more at the Best Buy Prep For The Holidays page. A coffee maker in my fridge? I NEED that in my life. Seriously, though, we are in the market for a new fridge because ours is on its last legs, so I might have to show this one to my hubby! We have all GE appliances and love them! WE nevr have issues and their customer service is top notch! I need a new washer and dryer–one that can get the funky smell out of hockey pads. What do the washers and dryers compare to? I’ve never seen a fridge with a built-in Keurig! I am crushing on that fridge! So cool. We’re actually planning to update our appliances this year, just waiting for really good deals. I think we found it! I have a couple GE appliances in my home. I am totally looking forward to all the baking and cooking that I do every year around the holidays for my family! Oh look at that! A refrigerator with a built in Keurig K-cup coffee dispenser. Fantastic. And to think that when I was young, I was amazed with a fridge that has an ice cube dispenser! I love how technology has given us so much convenience. If we will be looking at getting a new fridge, I think I have already decided which one to get. Oh, I love that refrigerator! It looks so sharp and pretty, and more importantly, it looks like it has a lot of room inside. I really like the freezer on the bottom. What a nice addition to your kitchen, just in time for the holidays. I will be checking out these deals, as I am in need of new appliances. love how great the appliances are we recently purchased new stove, fridge , washer and dryer. That fridge with the Keurig is awesome. My husband would adore that. I love stainless steel too! I am just dying over the Keurig K-Cup dispenser that’s built in! I am literally so tempted to put both appliances on my wish list for Santa. I would love to own that refrigerator. GE makes a great product. I love that fridge. We need one with more space and this one seems perfect. A fridge with a Keurig?! Where has this been all my life! I seriously need this asap! Did I just see a fridge with a Keurig? Seriously!? How did I not know this existed? this has just shot right to the top of home must haves! wow those appliances look amazing I really need to start saving as I want to upgrade my kitchen soon. GE os a great brand. They’re so sharp looking. My only complaint is how much of a pain in the booty it is to clean stainless steel. We alternate hosting the holidays for y huaband’s family, and it’s our year. Our appliances could use some attention before then! These look like exactly what I need Santa to put in my stocking! I’d love to cash in on this deal, I hope they have it again! I especially love the The Keurig Kcup French Door Refrigerator ! ! I love holiday baking. Having good appliances can make such a differences! My kitchen could use a complete rehaul including new appliances. 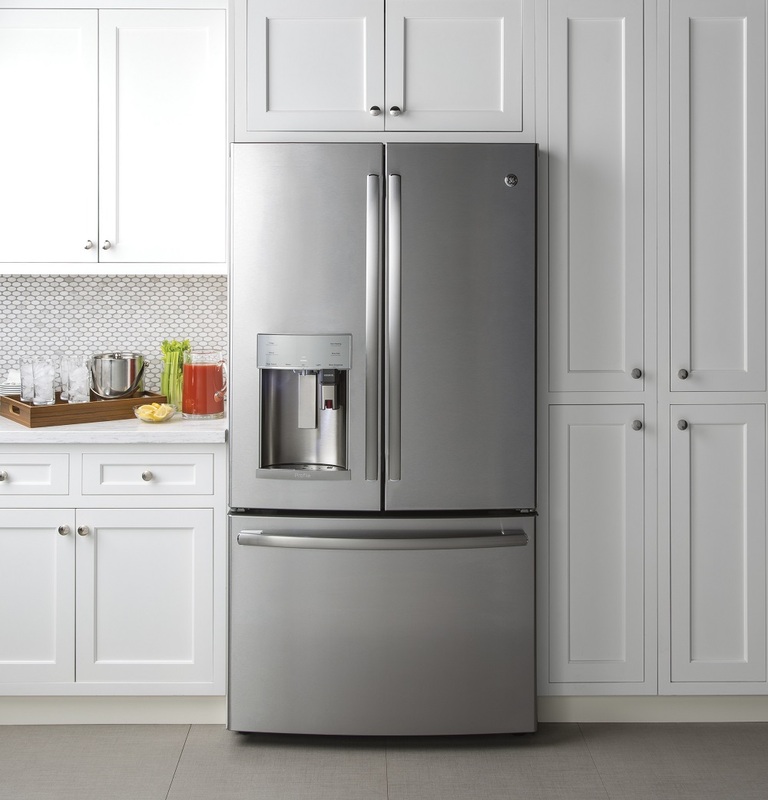 I’m in love with the The Keurig Kcup French Door Refrigerator! Showing this to my dad. His stove is dying. I must say, I like GE but don’t much care for stainless steel. I feel like it looks good for a day and then it’s never really clean and shiny again. Luckily you can get white and other colors but does anybody else feel that way? That’s a really neat refrigerator! GE appliances are great.